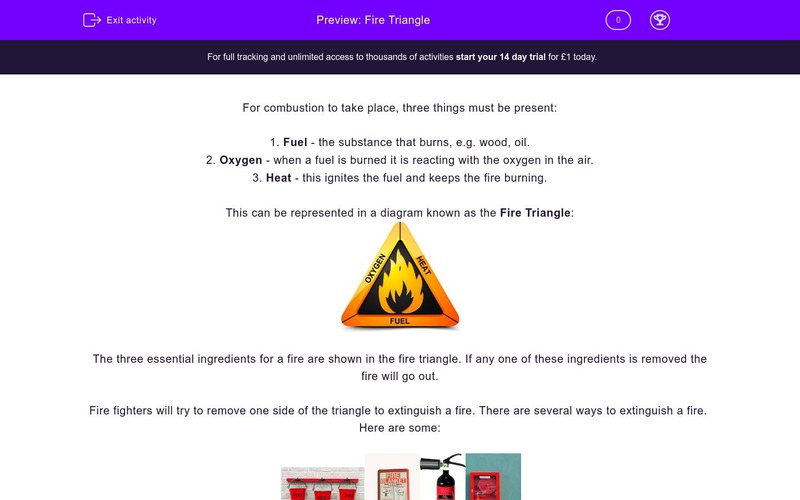 The fire triangle highlights what is required for combustion and what is required to fight fires. 1. Fuel - the substance that burns. 2. 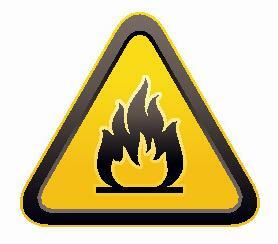 Oxygen - when a fuel is burned it is reacting with the oxygen in the air. 3. Heat - this keeps the fire burning. The three essential ingredients for a fire are shown in the fire triangle. If any one of these ingredients is removed the fire will go out. Fire fighters will remove one side of the triangle to extinguish a fire. There are several ways to extinguish a fire. Sand - When sand is added to a fire it removes the oxygen. 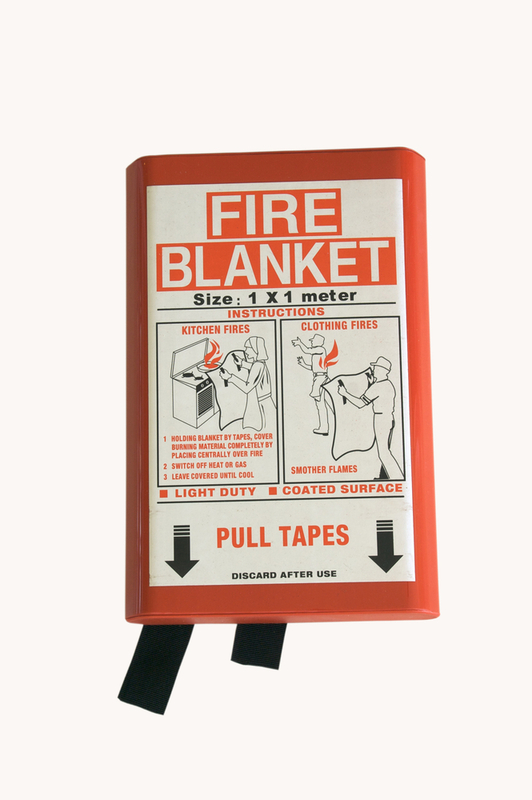 Fire Blankets - Fire blankets can be wrapped around burning objects or people. The blanket stops oxygen getting to the flame. 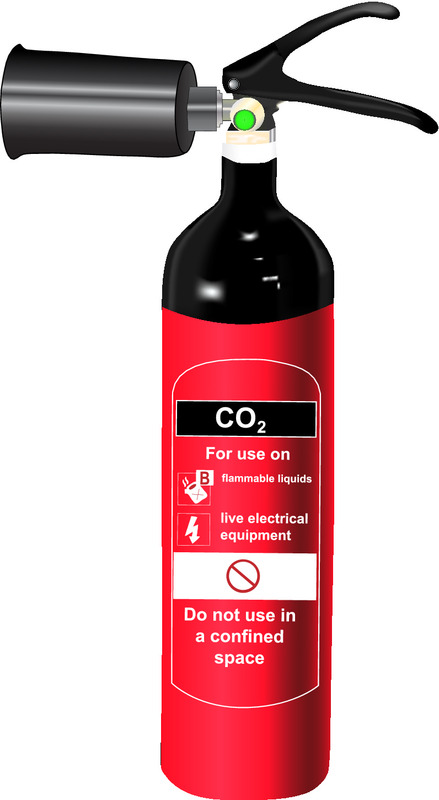 Carbon dioxide (CO2) - Carbon dioxide fire extinguishers are sprayed onto the fire to remove the oxygen. If you ever experience a chip pan fire in your home place a damp towel over the pan, call 999 and leave the house. 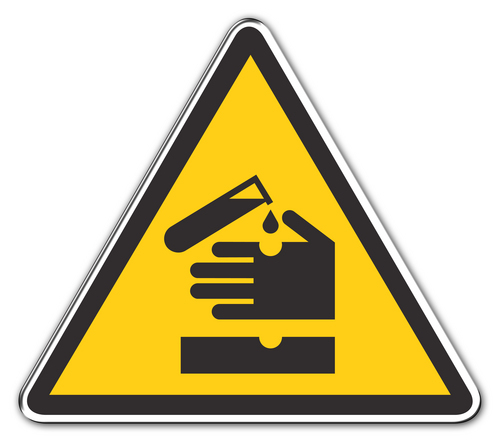 Which if the following is the correct hazard symbol for a flammable substance? Tick the substances below that are required for combustion to take place. 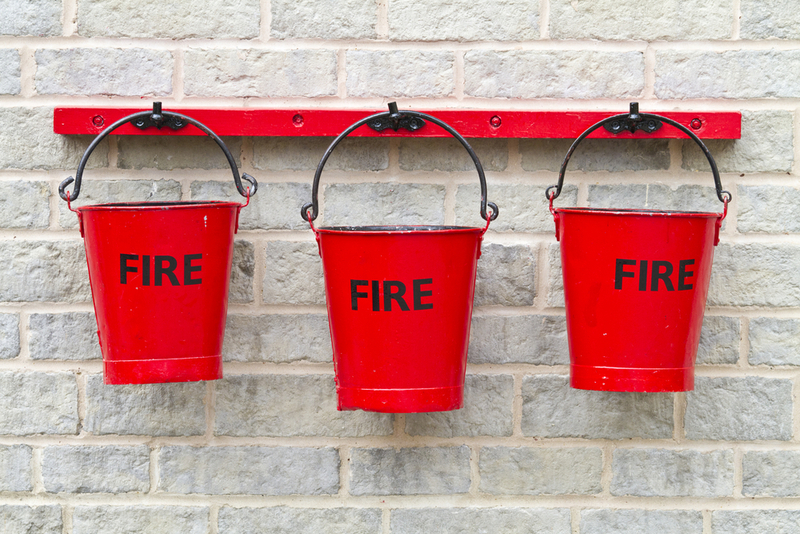 Which of the following substances can be used to extinguish a fire? 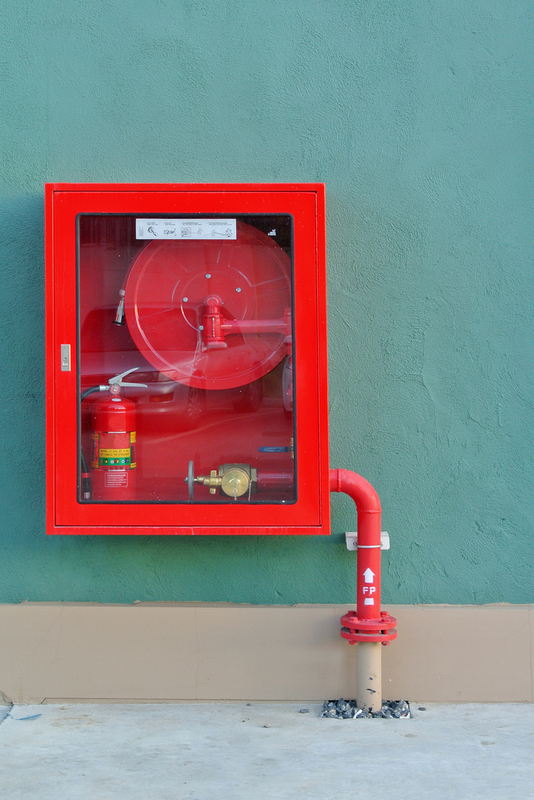 Which of the following should never be added to an electrical fire? Tim is filling his petrol mower and accidentally spills some of the petrol. Which of the following should be added to to the spillage to prevent fire? Someone has left the chip pan on and it has just begun to burn. Listed below is a list of things that you should do to help . Put the list into the correct order. Which of the following should be found in every home (as recommended by the fire service), to protect you and your home from fire? Tick all the answers that you think are necessary. 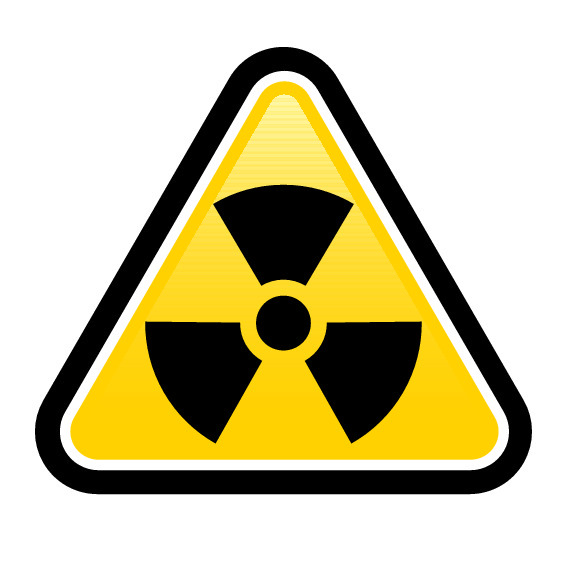 This hazard symbol must appear on all flammable substances used in science lab. 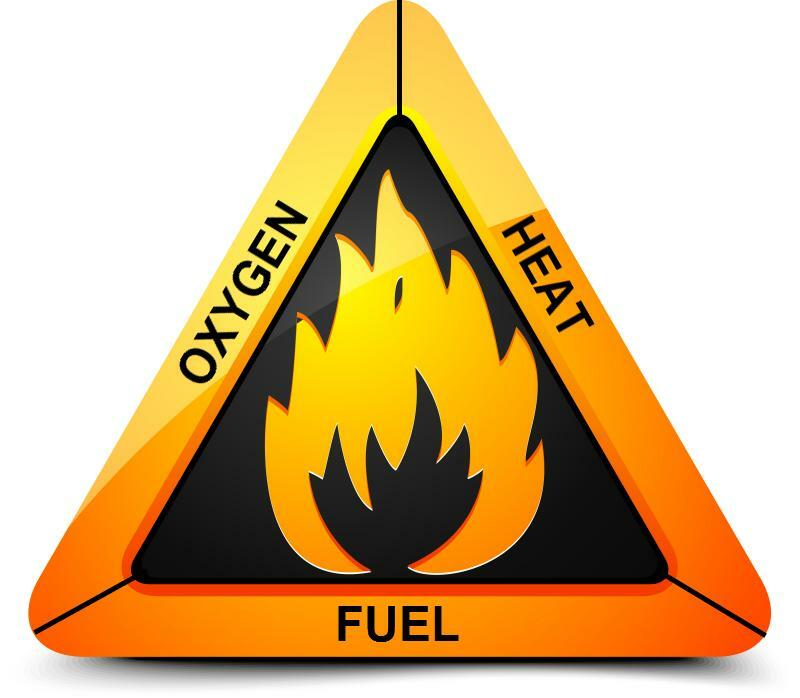 Heat, Fuel and Oxygen are the three sides of the fire triangle. There are many ways to put out a fire but carbon dioxide, water and sand are amongst the most common. Water should never be added to an electrical fire as it will increase the risk of electric shock and may cause further fires. Sand would prevent oxygen getting to the fuel and will reduce the risk of it igniting. Fire blankets would be too small to cover such a spillage and the risk would still remain when the blanket is removed. If the fire is burning too much simply leave the house and call 999 from a mobile or use a neighbour's phone. 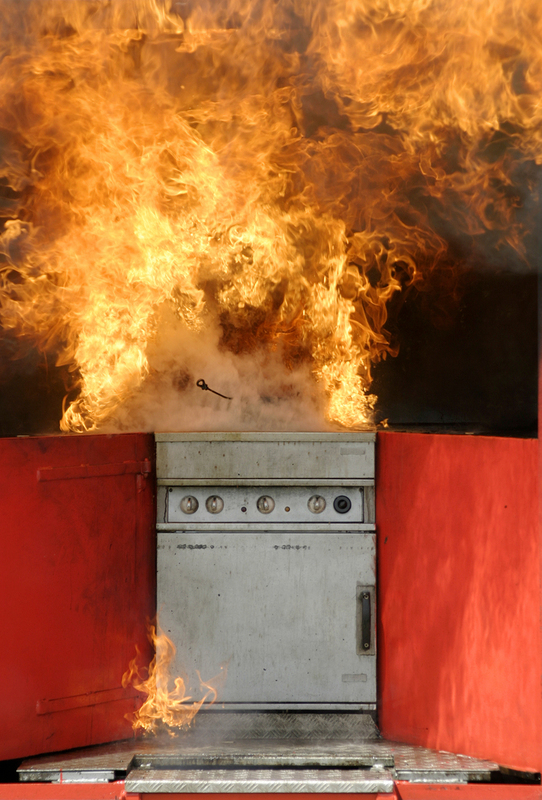 NEVER tackle a fire yourself unless you are completely sure you can do it safely and quickly. It is very important that you are aware of fire safety procedures - if you aren't, make sure you do some research to be completely sure. It could be a matter of life and death!